LED controllers for fish tank lighting (fresh and sea water) and LEDs are in stock and available immediately. Nonetheless, please plan your demands in good time. 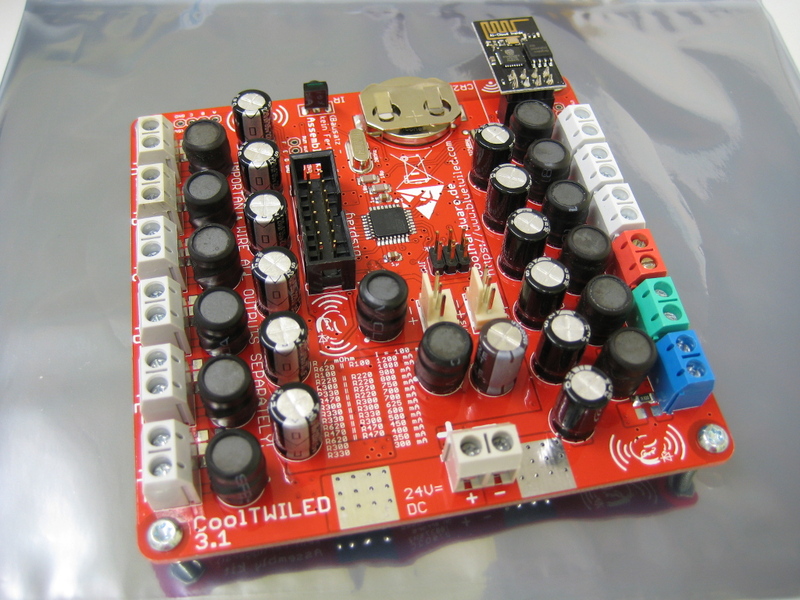 CoolTWILED 3.x is a wireless programmable 12channel LED controller/driver board. Configuration is possible via browser on almost any platform: Windows, Linux, Android, Apple IOS. New: 20 Watt CVU LEDs combine cyan (490nm), violet (420nm) and UV (380nm & 400nm). On request, CoolTWILED 3.x SLAVE / BlueTWILED 2.x SLAVE is available with fan ports (so that two additional fans can be connected per board). If you have questions, please read the pages below “Available for ordering”. 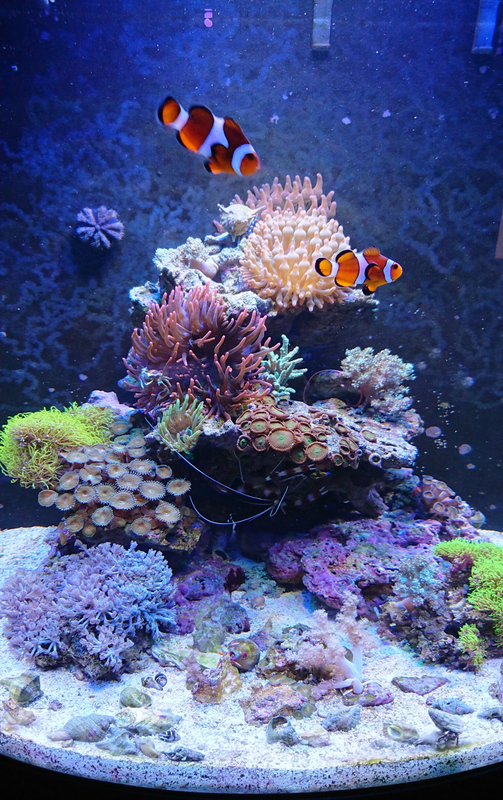 Fresh water and marine aquariums of our customers (built using our lighting controllers and LEDs). CoolTWILED 3.x is a wireless programmable LED controller/driver board particularly designed for fish tank illumination (fresh and sea water). Configuration is possible via browser on almost any platform: Windows, Linux, Android, Apple IOS. It is possible to simulate drifting clouds, thunderstorms with lightning, moon phases, twilight, sunrise, sunset and many things more (see the bottommost video). CoolTWILED is developed in Germany. We ship world wide. During setup and operation no internet connection is required! 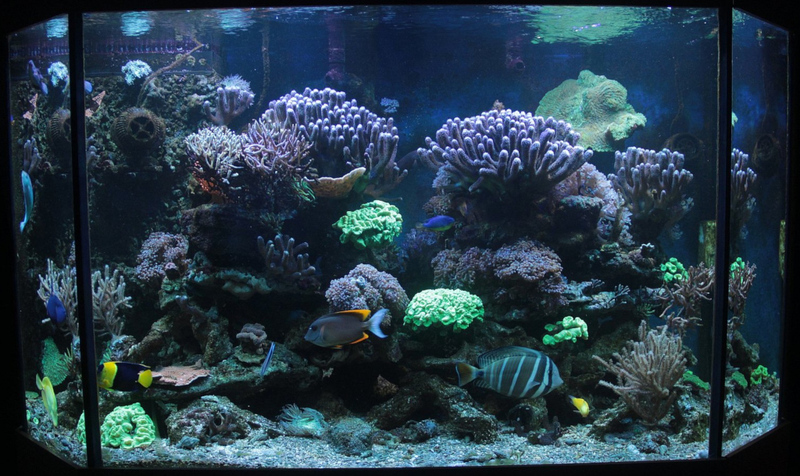 Natural spectra are especially desired in aquariums due to the demands of plants. By using LEDs of different wavelengths in a given combination it is possible to nearly replicate the visible parts of the sun's full spectrum in various depths. This way the fresh water bundle was created. The reef bundle was designed for marine aquariums to offer a very wide blue spectrum along with a high UV and violet ratio to stimulate the fluorescing effect in corals. For DIY projects, CoolTWILED 3.x is also available separately. It provides high efficiency LED drivers on each of its individually programmable 12 channels so that high-power LEDs can be directly connected.